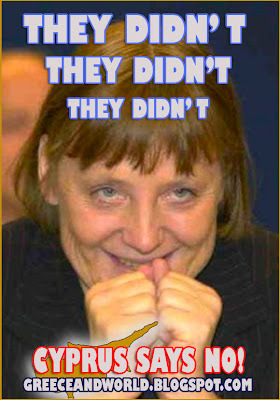 The rise and fall of the German dream of 4th Reich! 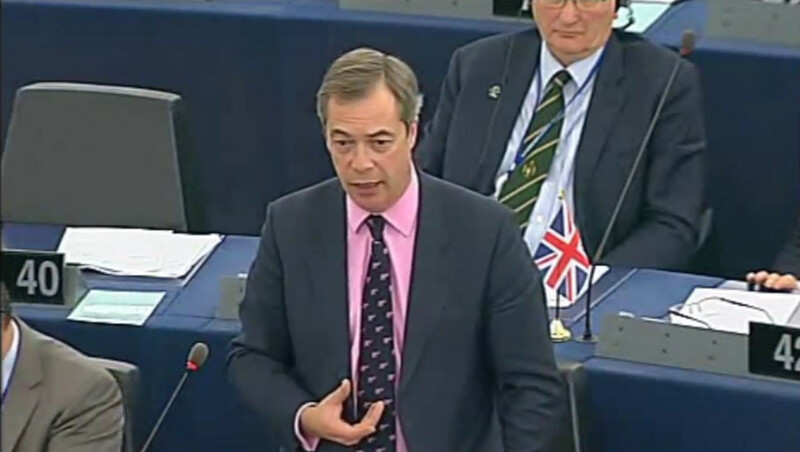 Is there anyone out there who still believes that the European Union has any future? 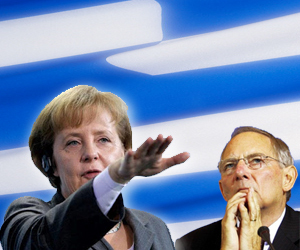 Does anyone believe that the "Greek crisis" has anything to do with Greece (Hellas)? It would be foolish to think that a country -that was never independent- created a crisis that threatens the universal economy. The revival of the Reich -Global governance in the making! 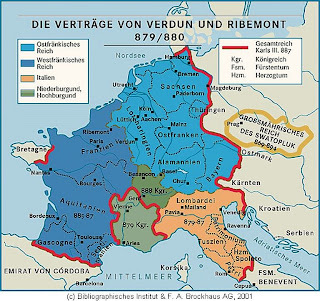 As far as i know Reich is the unification of all Germans, of all the Germanic lands. Well the first step of the fourth Reich was the unification of the two Germanies in 1989. The year zero for the german imperialism. Reich -as history has proven- also means imperialistic expansion. The common currency of the European Union was the second step and the bailout of Greece (Hellas) -through which the central governance will (or at least they will try) be forced, first to the bad boys -the PIIGS- and then as a necessity to the rest of Europe! 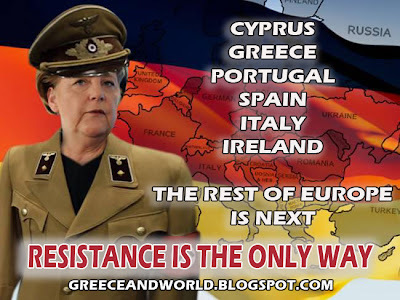 Europe under the german boot without a "drop of blood"! The entrance of Greece (Hellas) in the nomismatic union was not a democratic decision since a refferandum never took place. 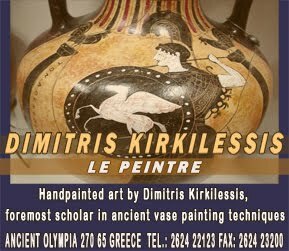 Greeks (Hellenes) were -perhaps the only among the Europeans- not informed about the benefits or the losses they would suffer. It is easy to see that Greece in the Eurozone gained nothing. NOT A THING! The "expensive" euro as a currency made greek products and services less competitive. There was a catastrophic (greek word catastrophy) reduction of exports and a signifigant growth of imports. Import companies took the place of the productive ones. Greece (Hellas) almost stopped producing anything. Tourism -which is the "heavy industry" of Greece (hellas)- became much more expensive making -at the same time- Turkey and Egypt more attractive and cheaper destinations. Not to mention the inflation that in many products reached 300%. (For example a bottle of water of 50 drachmas became a bottle of water of 0,50 euros one euro=340,75 drachmas). The income of Greeks started to rapidly decrease. In the sector of agriculture the EU forced Greece (Hellas) to stop producing anything leading Greece to the paradox phenomenon of importing basic foodstuffs such as vegetables from latin America and ...Israel! Ofcourse Germany saw its exports reaching the peak within the eurozone. Controlling the ECB (European Central Bank) set the rules of the game, deprived independent nomismatic policy from the other members establishing the situation that we are facing today. Destruction of all the southern economies or -i would better say- the non german economies! It is easy to understand that the only one benefitted is Germany. Germany through the nomismatic union gained the privilege of the leader of EU with a signifigant role in the esoteric affairs of the EU members. A week ago a ms Z. Georganta a former member of the Hellenic Statistics Agency, revealed that the greek (hellenic) -state budget- deficit was intentionally presented higher (15%) from the greek (hellenic?) goverment and the German general director of Eurostat Walter Radermacher, in order the greek economy to be put under the surveillance of the IMF, ECB and EE. "Speak no more. You wiil do what we want! You will listen to mr Georgiou"
Mr Randermacher General Director of Eurostat. Mr Georgiou was at the time the chief of the Greek (Hellenic) Statistical Authority. Later it was revealed that he was also working for the IMF from 1989 to July 2010 he was staff of the International Monetary Fund (IMF).From March 2004 to July 2010 he was deputy division chief in the IMF Statistics Department. According to an email, mr Georgiou was informing mr Thomsen of the IMF even when he was positioned at the Greek (Hellenic) Statistical Agency and without informing the members of the authority! Mr A. Georgiou chief of the Hellenic Statistical Authority. The case is in the hands of justice. A few days after the elections of 2009 the Bank of Greece (Hellas) (Which -by the way- is not greek at all) changed the negotiation period of the greek bonds, from three (3) to ten (10) days, giving the chance to the speculators, to speculate and rise up the interestes and the spreads. Why should the greek goverment let it happen? 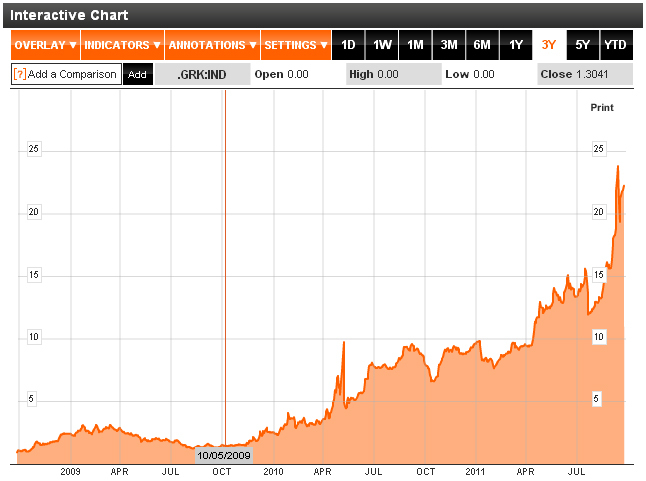 Mr Papandreou and mr Papakonstantinou did their best to help the rise of the greek bonds spreads. Whenever they made a statement the spreads jumped to new records. Comparing the greek economy with Titanic (Papakonstantinou February 15th 2010), a sinking boat, country in the intensive care (December 9th 2009), gun on the head, the speculators were partying! The spread of the ten year greek bond in October 2009 when mr Papandreou took over was 1.30 now September 2011 the spread is 22.00! Just five days (April 18th 2010) before the Papandreou's anouncement that Greece (Hellas) asks for help from the IMF, ECB, EE, he had a secret meeting with George Soros! Looking at the chart above, anyone can jump to various conclusions. The German plan was not difficult to execute since the Germans had already corrupted the greek political system. SIEMENS was a constant "donor" of the two major parties. As mr Tsoukatos -chief of the former prime minister's Simitis office- admitted, he received a million german marks -from SIEMENS- on behalf of PASOK (which is now in governance). 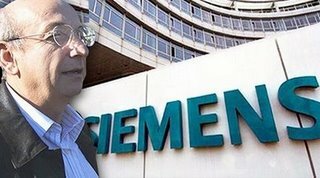 The chief manager of SIEMENS HELLAS, M. Christoforakos (whose father was a Nazi associate during the German occupation) escaped in Germany when the scandal was revealed (May 2009) and remains there since then. 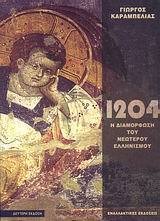 M. Christoforakos Studied in Deutsche Schule Athen, DSA, posseses both the greek and german citizenship. While writing down these lines, La Tribune in September 28th revealed the secret german plan! Code name: Eureca! All of Greece's public property will pass to a company that will sell it for 125 billion euros! AT THE SAME TIME WHEN GERMANY CLAIMS STATE IMMUNITY NOT TO PAY COMPENSATIONS TO THE NAZI VICTIMS! Germany claims (should not according to Amnesty International) the same international law that itself enroaches upon the greek case of "crisis"! 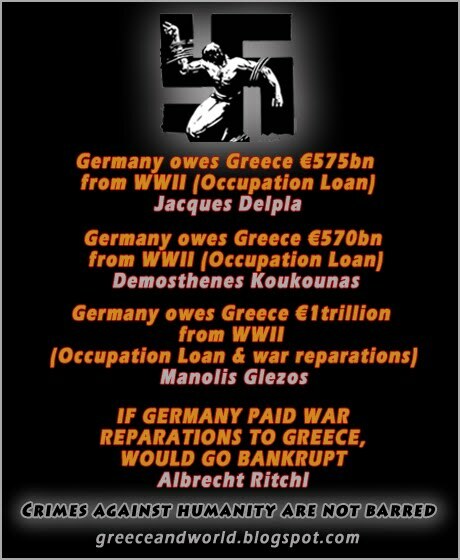 State immunity for Nazi crimes but not for illegal greek debt! Well, these 125 billion will not go to Greece but Greece will buy back its bonds from the speculators! German Reich and speculators satisfied! By now it is easy to understand that the greek "crisis" is nothing more but the will of the 4th Reich to possess at all cost (for Greeks only) the most beatiful and expensive piece of land and revenge the ones who contributed to the fall of the previous Reich. Not to mention that only Hochtief (the german company that exploits the greek national airport) has never paid a cent of taxes for ten years! 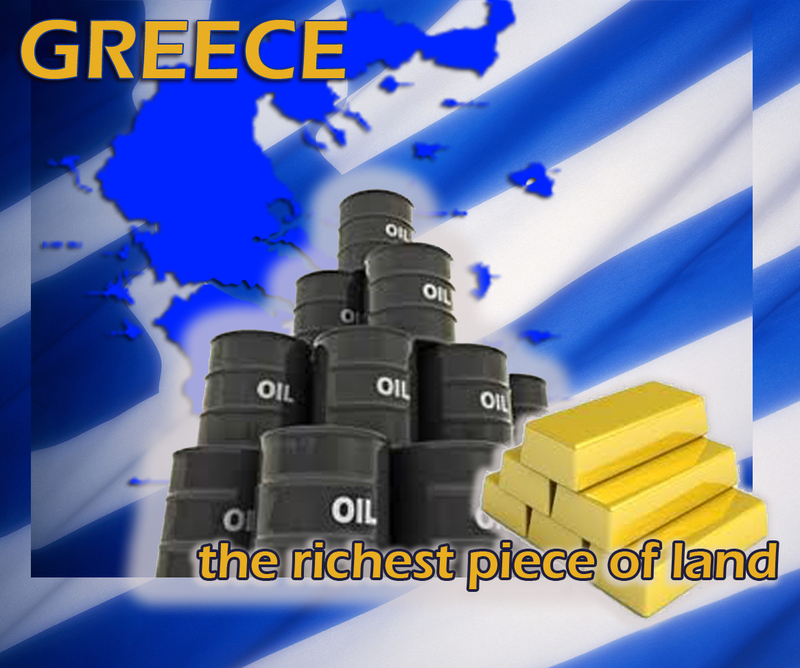 It is estimated that only this company owes 500.000.000 Euros of taxes to the greek state! And the story goes on and on! It is by now proven that Greece (Hellas) is lying over huge oil and natural gas fields! The whole east Mediterranean sea does! It is estimated that Greece (Hellas) can supply Europe with natural gas for fourty years and cover all of its needs 100%. The oil volume is estimated in bilions of barrels! In the Macedonia region exist big gold veins. In the Imia region there is Osmium the most expensive mineral. is the biggest Aluminium producer in Europe. is the first in the world in merchant shipping. Now, if we take into account the money that Greece is owed from Germany as war reparations and the loan that the Nazis took from Greece (Hellas) (amount estimated 1,3 trillion Euros) Greece (Hellas) becomes a paradise! 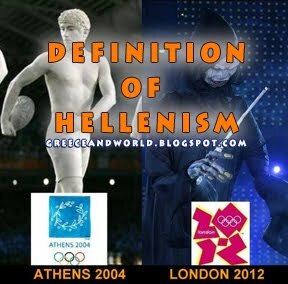 The big deceprion is the effort of the local traitors in association with German Reich and the international banking system to persuade the world and especially the Greeks (Hellenes) that Greece (Hellas) is a bankrupt country! From my point of wiew i see the richest an more powerful (the explanation below) country in the world, what about you? Greeks (Hellenes) and other Europeans -especially the Southerns- were deceived by the hope and the dream of a unified Europe. It is clear that it was the nightmare of fourth Reich! In Greece (Hellas) the corrupted political system was promisisng solidarity, safety and most of all european salaries. That the borders of Greece would be the borders of Europe therefore the Turkish agression would have to deal with EE and the expenses for arming would go to education etc. In 1996 Turks invaded in a small greek island (full of Osmio) beggining a major crisis and EE was not present! Ofcourse at the end it was mainly Germany who stood by Turkish agression in order to rise the profits of the German war Industry! 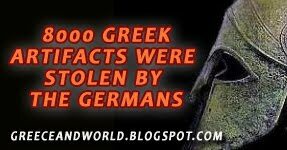 Germany was among the first to recognize FYROM as Macedonia (note that the word Macedonia does not mean a thing in the bulgaric idiom that the Fyromians use as a language because it is a greek (hellenic) word meaning long country. The same applies for the words Alexander and Philipp see Liddel & Scott lexicon of the Greek language). Above i mentioned the catastrophy of greek economy in the eurozone! It turned out that the solidarity of the member states vanished when the greek "crisis" started. It seems that Greece (Hellas) did not gain anything participating in EE! 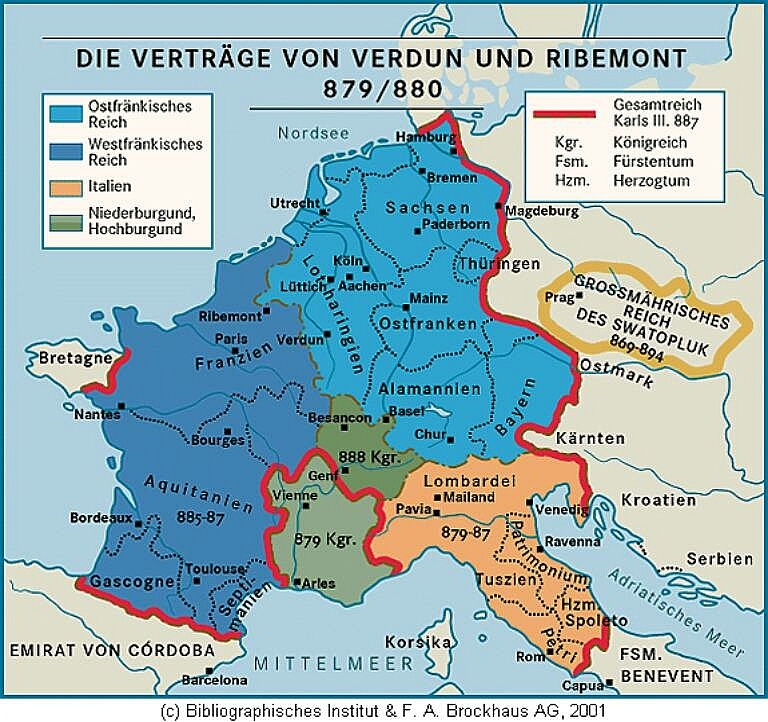 Any non Germanic country gained anything. This realisation will become a demand of leaving this useless german organization by people of Europe. They will all realise that the effort of Germany to establish a Reich leads to the destruction of Europe -at least-. The future of Germany wont' be bright as the Germans will not anymore like to be called such. They will prefer to be Bavarians, Saxxons, Bohemians, because they will realise that they are the first victims of Reich's imperialism. Already it is known (according to Handelsblatt newspaper) that Germany is hidding five (5) trillion Euros debt. Add a trillion that owes Greece (Hellas) and make it six! It seems that the fifty year German effort of industrial imperialism and expansion can collapse in a minute and Greece can play a significant role to this (war reperations). Not to mention that a possible greek bankruptcy will destroy the global economy due to CDSs and greek bonds! This situation gives Greece (Hellas) great power that the local traitors are unwilling to use. People of the world it is time to wake up! Crisis, economy, land, history, nomismatic, catastrophic, paradox, phenomenon, eurozone (Europe+zone), role, esoteric, Titanic, political, Eureca, amnesty, scandal, paradise, Europe, Macedonia, Philipp, Alexander, catastrophy. The Cyprus 'Bailout' And Germany - Bailout"
18 months ago, we said to watch Cyprus, as it would be the next battle ground. And so it has come to pass, the German-dominated EU is overstepping its own hideous track record, and demanding that Cyprus raid its own citizen's accounts - in nothing short of an act of theft. As ever, there is more than meets the eye. 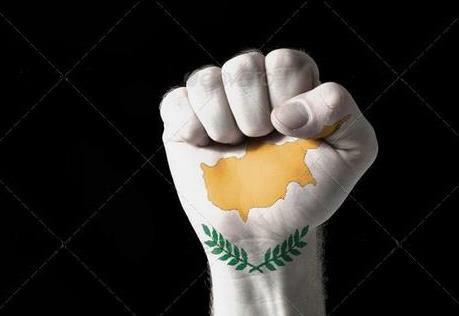 CYPRUS; THIEVES HAVE BEEN UNMASKED ! Next new criminal in Angela Merkel’s government. Wolfgang Schaeuble Germany’s finance minister uses terror against the honest people of Cyprus ! This man are not enough black boxes of stolen money in the days when he was a trusted by Helmut Kohl. He wants to steal not only Cypriots but also all of Europe !!! Germany’s finance minister has warned Cyprus that its crisis-stricken banks may never be able to reopen if it rejects the terms of a bailout. Wolfgang Schaeuble said major Cypriot banks were “insolvent if there are no emergency funds”. He was speaking after the Cypriot parliament rejected an international bailout deal that would have imposed a one-off tax on bank deposits. Frantic talks are under way to try to agree an alternative plan. Leaders of political parties in Cyprus are due to meet later after parliament rejected the controversial levy, proposed as part of a 10bn-Euro bailout package. Not a single MP voted in favour of the controversial deal, sending a clear message to Brussels that the strategy needs a drastic rethink, our correspondent adds. Late on Tuesday, Mr Schaeuble said that he “regretted” the vote. ”The ECB (European Central Bank) has made it clear that without a reform programme for Cyprus the aid can’t continue. Someone has to explain this to the Cypriots and I think there’s a danger that they won’t be able to open the banks again at all,“ he said. ”Two big Cypriot banks are insolvent if there are no emergency funds from the European Central Bank,” Mr Schauble added. Cypriot President Nicos Anastasiades called the talks between party leaders when it became clear that the measure would not be passed by parliament. 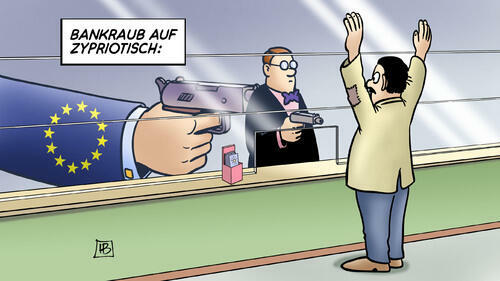 Fearing a run on accounts, Cyprus has shut its banks until at least Thursday. The local stock exchange also remains closed. With 39 votes against and 19 abstentions from Anastasiades’ ruling party, Cypriots said a historic NO to Eurogroup decision to charge with a levy bank deposits. Upon announcement of the rejecting decision protesters who had gathered outside the Parliament broke in to loud applaud. No one Cypriot MP voted in favor of the levy. While the impact and consequences for Cyprus cannot be predicted at the moment, the European Commission reacted with a sound…silence! One hours after the voting result became known and no comments has been spoken from Brussels. European partners has warned Cypriots of “fatal consequences” should they reject the levy. Short before the outcome of the voting, the European Central Bank told Dow Jones, that it would continue to supply Cypriot banks with liquidity “according to existing rules”. Everything is still open, as no comment was issued from Berlin as well. It looks as if Cypriot banks would open on Thursday. The big question is whether money will flee the country. Cypriot finance ministry Michalis Sarris dismissed earlier reports, he had submitted his resignation to President Anastasiades before taking off to Moscow. By imposing a tax on bank deposits in exchange for a €10bn bailout package, the eurozone leaders have, at best, set “a dangerous precedent”, and, at worst dabbled in “blackmail,” writes the European press. From managing a single currency, to ending a recession and negotiating political and fiscal unions among a multi-lingual, multi-ethnic commonwealth, Byzantium’s leaders handled the lot. The EU’s politicians could learn much from their ancient forebears, argues a UK historian. So, this is going to be a very sour reading of what has happened in Cyprus this weekend. It will also be a very partisan one, possibly even a partial one. But if Milton Friedman and Anna Schwartz were right in their insistence that it was actually the Federal Reserve that caused the Great Depression (which is something that Ben Bernanke himself has insisted that the Fed will not repeat) then one way of interpreting what has happened is that the European Central Bank has just set us all up for another Depression. 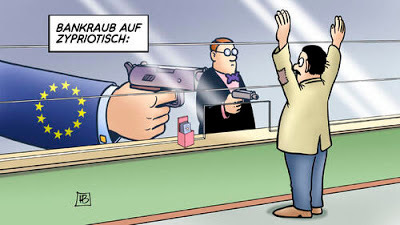 The trigger is that “tax” of a little over 6% on all depositors. This isn’t an analysis that you’ll be able to get all economists to sign up to. But the basic story told by Friedman and Schwartz in “A Monetary History of theUnited States” was that the 1929 crash was indeed a serious crash. But it would not have led to the Great Depression without the Federal Reserve making some serious mistakes. Two of which were to allow the intertwined collapses of both the money supply and the banking system. Given that it is the banks that create credit and thus the wider money supply they are, to a great extent, the same thing. The actual process was the series of bank runs that happened through the early 1930s. The problem is that in a fractional reserve banking system banks are inherently unstable. The fractional refers to the fact that when you deposit $100 with one they don’t then keep that $100 in the safe. They take a guess at how much they need in the safe (OK, it’s an informed guess, but it is a guess) for when people turn up demanding their cash and the rest of it they lend out to other people. This is how companies, mortgages and business loans are financed (please, we don’t need to go into “ but loans finance deposits” and all that: it might even be true but it’s irrelevant here). 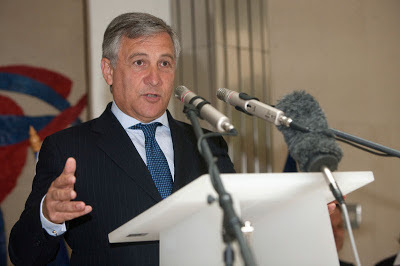 Vice President of the EU: "Long live Greece"
"If there was no Greece we would still be barbarians and pagans," Mr Tajani said adding that Europe should help Greece to avoid losing tools for development. Addressing the joint conference for SMEs organized by the European Commission and the General Secretariat of Industry, and the Greeks in general, Mr Tajani said that "
half a billion Europeans owe our existence to Greece and exclaimed "Long live Greece." "Greece has already done much to modernize its economy," said Vice EU stressing that there can be no Europe without Greece", he said. "When a child is struggling father needs to show this interest to address the difficulty. This is what we should do with Greece, " he said. The European Commission also noted the need to find alternative methods of financing for SMEs, but also to foster openness in specific sectors such as tourism, technology, industry.